Intent on providing options for customers, Forecast 3D offers nine different production methods. But HP Multi Jet Fusion technology is the leader of the pack. 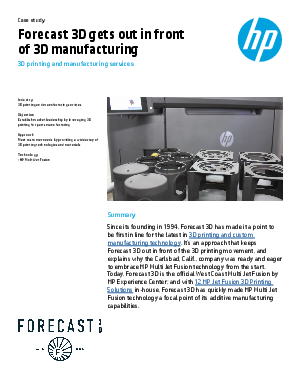 Learn how Forecast 3D has deployed HP Jet Fusion 3D printers to change the way its customers are manufacturing.